The brand's goal and the media strategy of our Formulatin division for this campaign is to change the perception of tequila from a drink you did shots of to a fine sipping spirit similar to a nice glass of scotch. 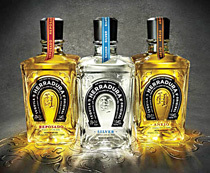 Herradura is a super-premium tequila brand owned by Brown-Forman. Its target consumers are affluent 30- to 49-year-old men. What made The Huffington Post, known primarily for political coverage, such a good placement for Herradura? How did you reach out to reporter Jennifer Ceaser? The Huffington Post reaches a high-end audience through its lifestyle and travel coverage, making it ideal for Herradura. As for Jennifer, we hadn't worked with her before, but we noticed her recent travel piece on Sonoma County wines. We pitched her on the idea of a destination story focused on Casa Herradura, a hacienda in the tequila-making heart of Mexico, where she could see how this high-end spirit is produced. What specific challenges did Ceaser's trip present? There weren't any logistical or language issues, but there was a perception challenge in that many people believe traveling in Mexico is not safe. We met that head on by noting that while problems exist in some areas near the US border, Mexico's interior regions are very safe. We also had a brand ambassador accompany her during the entire trip and provide her background material, including photos of the region from the Mexican Tourism Board. What was the hit's impact? Not only did The Huffington Post piece generate 13,620,000 gross impressions, but it was picked up by numerous tequila and alcoholic beverage blogs, so it had a huge ripple effect. The placement also pleased the client to the point where it has opened the purse strings to more destination trips for the media.